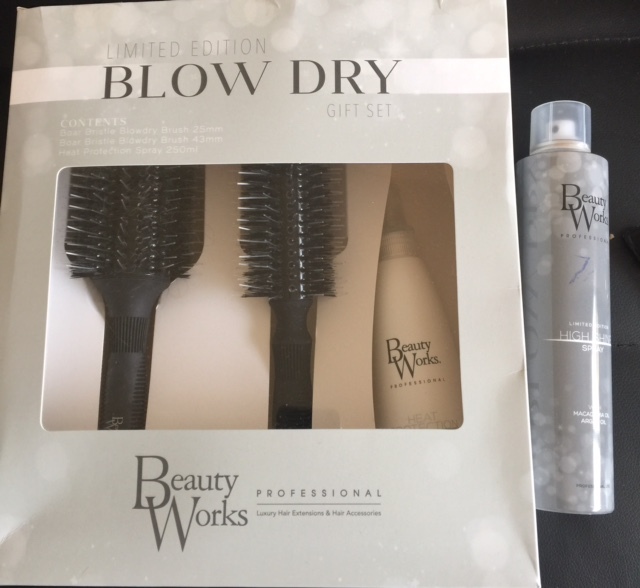 I have just received the beauty works limited edition blow dry kit and High Shine Spray and I’m actually in love with it!… The products in the kit are all full sized and are of such great quality, size and shape that it makes at home blow drying a piece of cake!..The shine spray is lightweight but gives great shine and the macadamia and argon oil are great for conditioning the hair! and I also got a High shine spray separately which is great for a shiney, conditioned finished! So lets talk brush’s…. 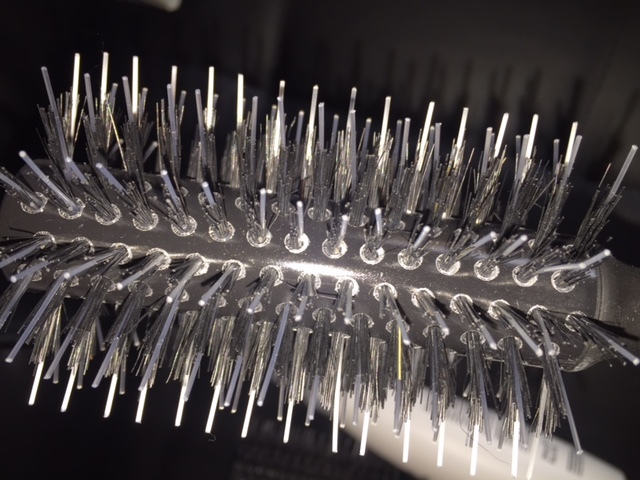 When choosing a blow dry brush its important to pick one with bristles long enough to keep the hair in whilst blow drying, of the bristles are too shallow, it will make keeping the hair on the brush hard! 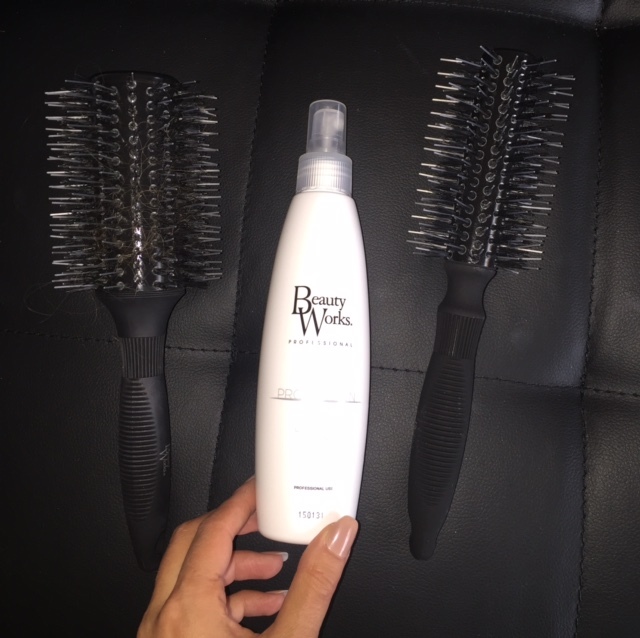 The great thing with these brushes is not only are the bristles deep ( as beauty works is a hair extension brand they are used to blow drying thick hair!) , but they are duo bristle boar bristles, as you can see below in the close up. This creates grip whilst using and a shine to finish. The centre of the brush also reserves heat helping style the hair effortlessly. The brushes come in two sizes, the bigger size is great for longer hair and straighter styles, the shorter one for shorter hair or curlier blow drys! …On another note, the Heat protection spray smells like an absolute dream and is essential for protecting your locks ( be it real locks or extension locks )! The high shine spray contains not only Macadamia but argon oil, which along with creating an awesome shine also nourish the hair. Macadamia is a source of calcium, vitamin B complex, vitamin E, proteins, phosphorus and iron and contains 80 percent mono saturated fat. It is non-greasy and lightweight, it absorbs into the hair easily. The highly concentrated mono-unsaturated fats in the oil help protect from damage. The vitamin E contained in the macadamia oil helps hair to soften and rejuvenate. Macadamia oil is great for smoothing frizzy hair, detangling hair to make it more manageable. Argon oil has a great ability to tame frizz and give hair shine, It makes hair more manageable and also contains high anti-oxidents! Previous Article← Starlooks LooksBook November box!